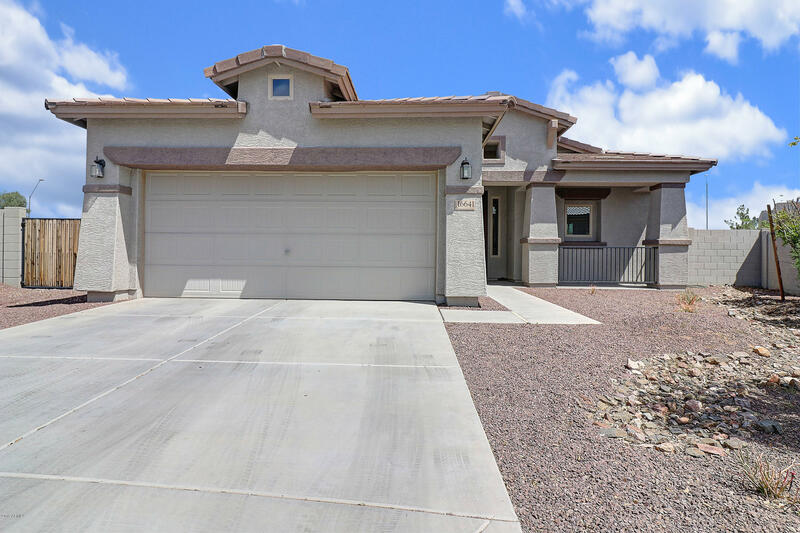 All SURPRISE FARMS PHASE 3 PA homes currently listed for sale in Surprise as of 04/23/2019 are shown below. You can change the search criteria at any time by pressing the 'Change Search' button below. 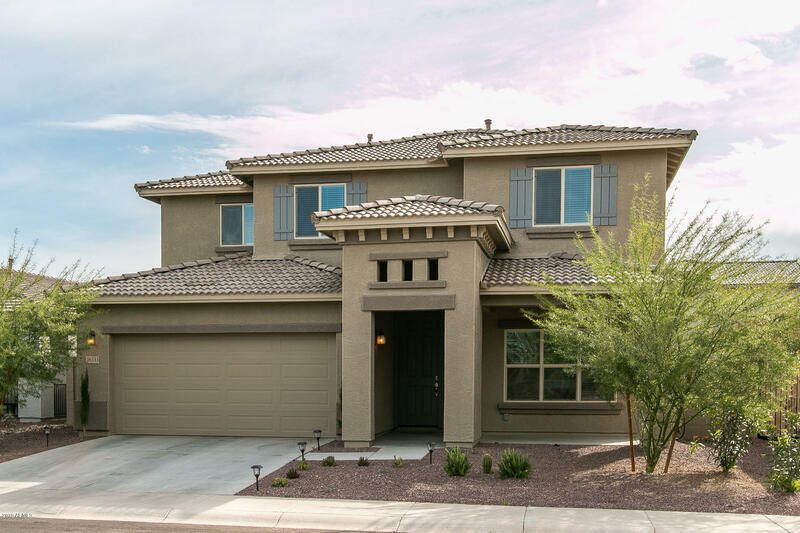 "This highly upgraded, like-new home sits on a premium homesite across from a park & offers 4 bedrooms + den with double doors & 2.5 baths in 2800 SqFt. Great room floor plan with formal dining. 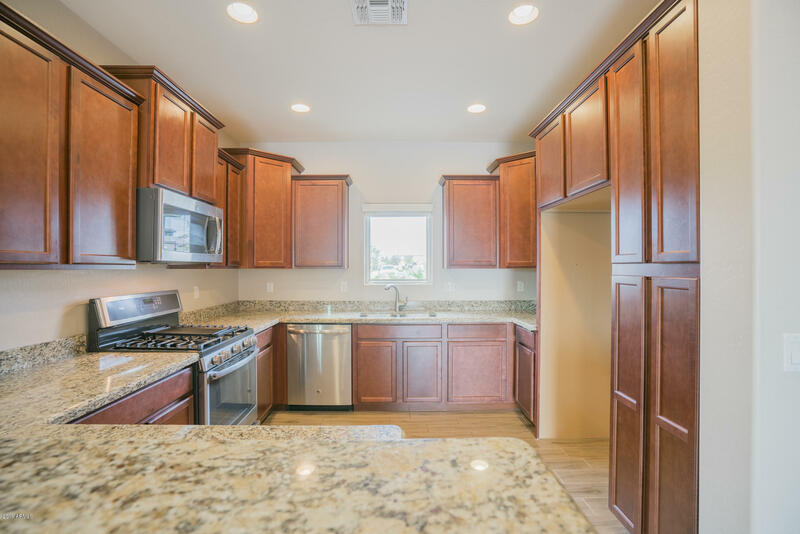 The eat-in kitchen features upgraded staggered maple cabinetry with Mocha glaze & crown molding, granite counters, gas range, stainless appliances, walk-in pantry & island with extra storage. Sliding doors lead out to the large covered patio & backyard. Bedrooms & laundry are upstairs. The master suit"
"Beautiful home in popular Surprise Farms with huge backyard, RV Gate and lots of upgrades is ready for move in. 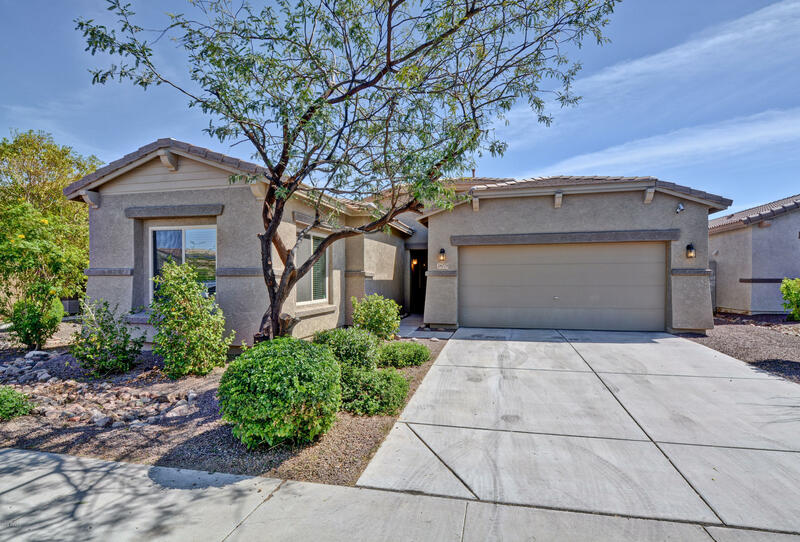 Bright kitchen with upgraded staggered cabinets, stainless steel appliances and granite counter tops overlooking dinette plus spacious Great Room with walk-out to a private patio. Split floor plan with Master Bedroom with walk-in closet plus bathroom /double size walk-in shower and double sinks. Tiled flooring accept all 4 bedrooms carpet. Epoxy flooring in the garage with service door"
"An ENERGY STAR Qualified Home. As you enter, the foyer leads you into the center of the home where the kitchen opens to the great room and breakfast area. Granite kitchen countertops with SS undermount sink, staggered birch cabinets w/2'' crown molding, kitchen island, formal dining room, secluded master suite split from secondary bedrooms and a master walk-in closet. 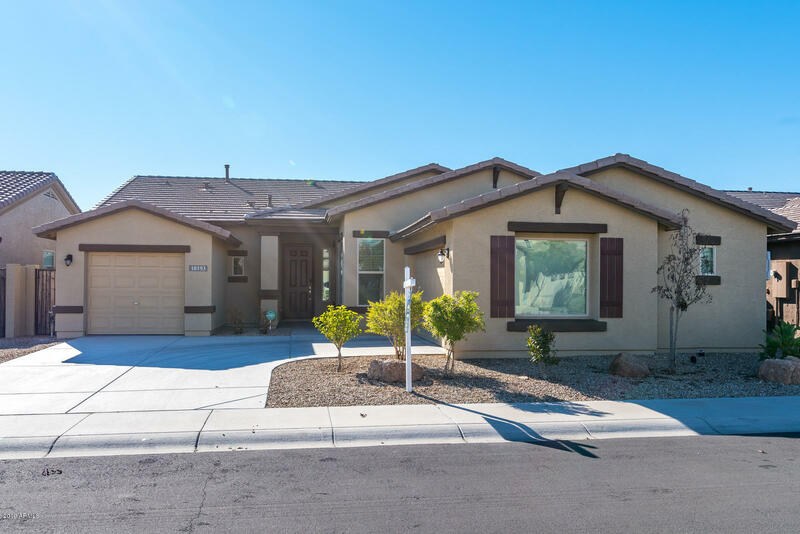 This home includes an AirCycler ventilation system, ceiling fans throughout, window coverings, 20'' staggered tile everywhere ex"
"Beautifully maintained move-in ready home in great location close to schools, shopping, dining and much more. Pride of ownership shows throughout this home featuring 3 bedrooms, 2 full baths, formal living room, great room and a separate office/den. The cook's kitchen features upgraded cabinetry, center island, granite counter tops, 20'' tile, and light and airy neutral pallet. The split floor plan has a large master suite and master bath with walk-in shower, tub and double sinks, 2 large gues"
"EXCELLENT FAMILY HOME IN POPULAR SURPRISE FARMS!! GREAT FLOOR PLAN W/4 BEDROOMS (4TH BEDROOM COULD BE USED AS A DEN), 2 FULL BATHS (SEE FLOOR PLAN IN DOCUMENTS TAB)!! THIS 1,941 SQ.FT. HOME INCLUDES THE FOLLOWING: COMPLETE INTERIOR PAINT 04.12.19, ALL NEW STAINLESS STEEL SAMSUNG KITCHEN APPLIANCES 04.12.19, NEW 2'' HORIZONTAL BLINDS IN BEDROOMS 04.12.19, PLANTATION SHUTTERS, KITCHEN ISLAND & GREAT ROOM, LARGE MASTER BEDROOM, OPEN FLOOR PLAN W/SPLIT BEDROOMS, COVERED PATIO, NEWER SLIDING GLASS DO"
"BEAUTIFUL TREND HOME IN SURPRISE FARMS! 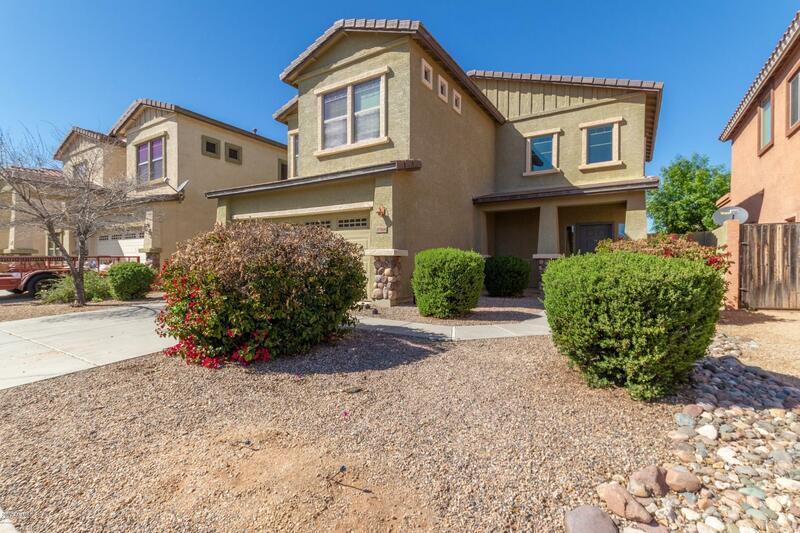 THIS AMAZING HOME HAS AN OPEN FLOOR PLAN, 3 BEDROOMS, DEN AND A 4 YEAR OLD POOL!!! !TILE THROUGHOUT THE HOME STAINLESS STEEL APPLIANCES. HOME FEATURES PLANTATION SHUTTERS THROUGHOUT, HIGH CEILINGS, ANDERSON WINDOWS, AND MUCH MORE." "Built in 2015, this Surprise one-story offers a two-car garage. 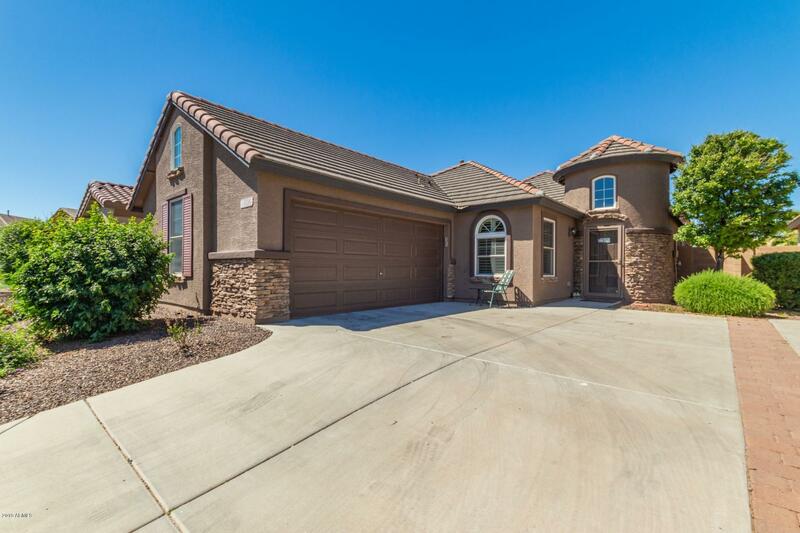 A community park is part of the HOA.Home comes with a 30-day buyback guarantee. Terms and conditions apply." 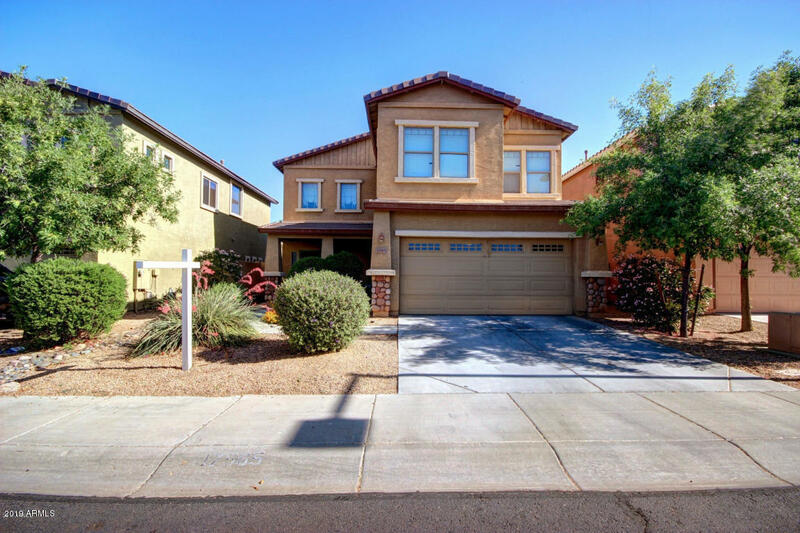 "Fabulous two story home in the heart of Surprise! Warm and welcoming, neutral colors, and open floor plan. Kitchen is complete with breakfast bar, plethora of cabinets, and black appliances. HUGE loft upstairs along with all 3 bedrooms. Covered patio and nicely landscaped backyard." 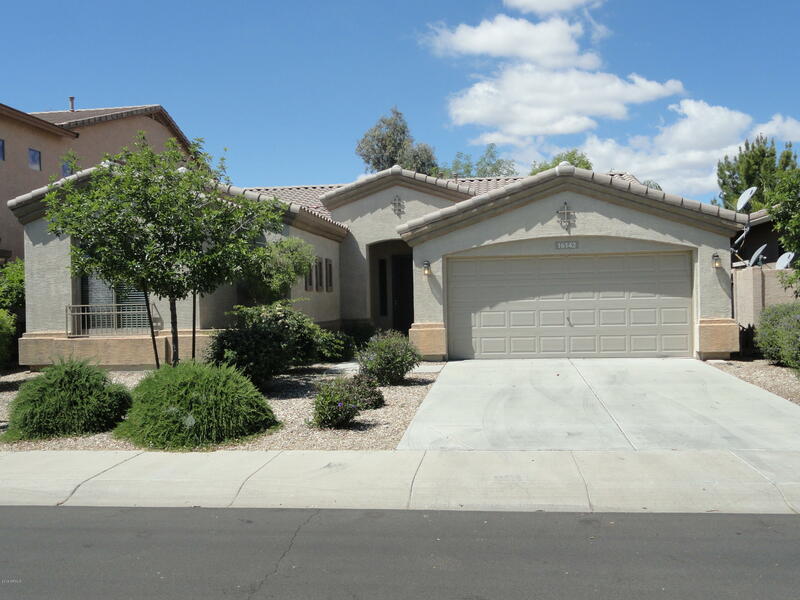 "Great home in Surprise Farms with Large kitchen, lots of counter space and walk in pantry. Huge Loft is a wonderful space for entertaining or turn into 2 more bedrooms! Half bath on main floor, Eat in Kitchen, Large family room. Large back yard ready for your own landscape design or pool! Master Suite with separate soaking tub and shower, toilet room and walk in closet. Nice front porch with River rock accents. Home wired for Security system."